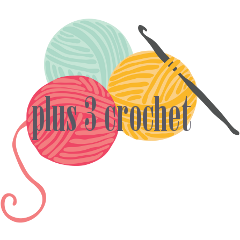 plus 3 crochet: doing a craft sale! I've been a little quiet lately because I'm getting ready to do my first craft sale next month! I almost talked myself out of doing it before I registered but I forced myself to just go for it. I'm very nervous about it, it's really out of my comfort zone with having to talk to people I don't know (aka strangers). I'll get through it though, I'm actually even starting to get a little bit excited for it. It's on my birthday (30th! ), maybe that will bring me some good luck? Probably not. 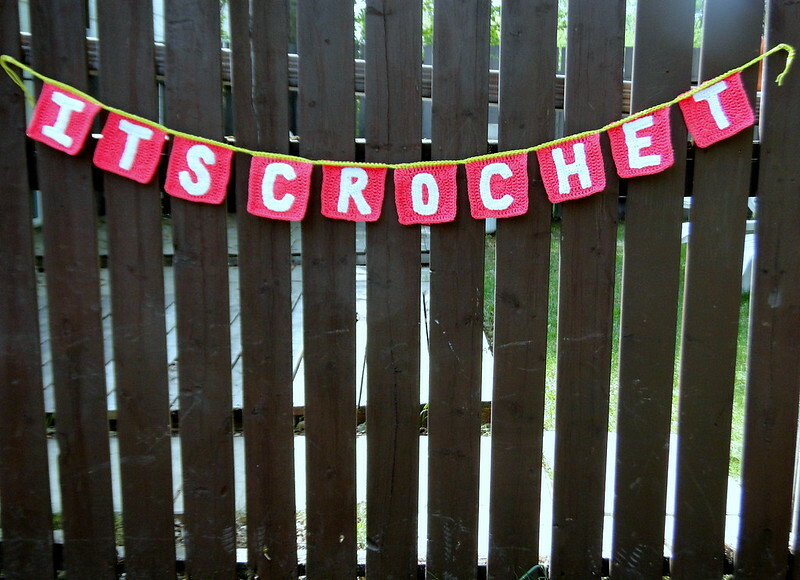 I decided to crochet a banner to use at my table. I crocheted pink squares and also crocheted letters to sew onto the squares. I used this pattern for my letters, I bought the lower case with the upper case and am really happy with both! Each pattern is written extremely well. I like how the banner turned out, I think I might add some pom poms to the ends though. 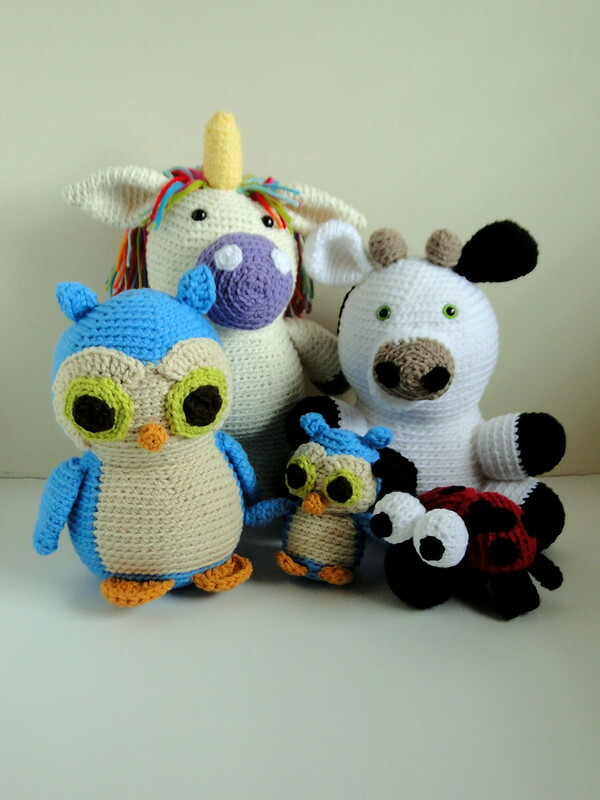 And of course, I've been busily crocheting toys to sell! I think that I'm going to stick to toys at my table, it's what people seem to be most interested in. I'm planning on having some smaller toys for sale as well, along with some rattles, I'm hoping those will catch some eyes. I got a group shot of only a few of the toys I have ready right now. They're my favorites right now, especially the unicorn. When I finish all the toys, I plan on getting a group shot. I'm aiming to have all the toys I want to sell done in the next two weeks, so I can spend some time figuring out how I'm going to set up my table. If you know of any good places to get inspiration (besides pinterest) for that, let me know! After the sale, I plan on adding whatever doesn't sell to my shop. I'm hoping it won't be everything I've made! I'm not expecting to sell out but I'm hoping to make a couple sales at least. I used to do fairs I made baskets. I suggest going to a gift store or shop you like look at the way they use displays.some boxes of various sizes under fabric or a table cloth should add levels to make your display dimentional and interesting. Good luck, you have great product!!! Best of luck in your sale. I bet you'll do brilliantly. People at Fairs tend to be very friendly and chatty and you'll probably meet some like minded people too so don't worry about that too much.